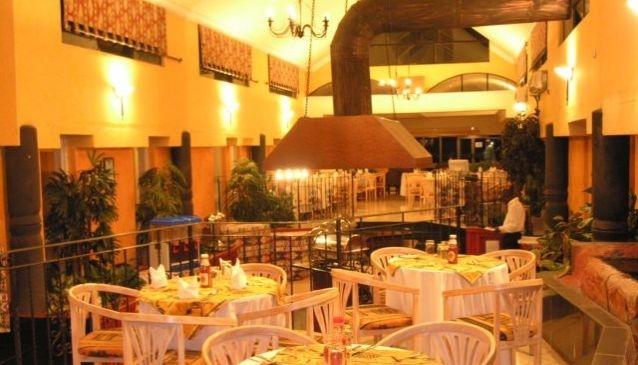 Cattleman's Restaurant and Grill is located at the Chrismar Hotel in Lusaka, Zambia. The setting resembles an African game lodge's eatery, and is located outdoors to create an authentic ethnic feel despite being situated in the suburbs of Lusaka. Cattleman's Restaurant and Grill offers a selection of meats that are grilled to perfection along with a wide variety of pizzas, stir fries, sharwamas and salads. For some great entertainment the Cattleman's Restaurant and Grill provides live entertainment on Friday and Saturday evenings. The restaurant provides both comfort and luxury all for a convenient and affordable price. The Cattleman's Restaurant and Grill is perfect for a family outing.